When it comes to being good at your job, there are many social and technical skills that you need. One of the most important skills you can acquire is the ability to communicate with those that you work alongside every day. Sure, being great at your actual job description is extremely important. But if you are unable to communicate in an effective way with your co-workers what good is your knowledge? 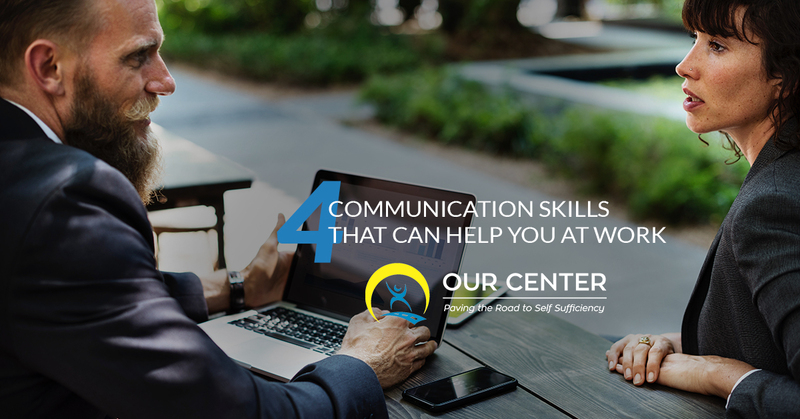 In this post, we would like to give you a few clues as to how to improve your communication skills so that you can put them into action at your job sooner rather than later. It’s extremely common for people to get used to the way they do things, and therefore never venture out of their comfort zone in order to improve. If you have been successful or rewarded in the past, it becomes even more difficult to push against what you normally do and instead change certain aspects of your habits in order to better serve those around you. On the other hand, making small adjustments can go a long way. The most important thing we would suggest is to learn how to listen. This is one of the most difficult things people in a professional environment have to learn to do. Simply because you are an expert on your job, doesn’t mean you won’t be able to learn new things. Listen to other people’s suggestions, listen to others’ feelings, just listen for best results. It’s time to acknowledge how different people can be. If you could communicate with everyone in the same manner, that would be great. Unfortunately, this is not realistic. You need to take several things into account each time you speak with a different person. You have to consider what that person’s needs are, as well as what their motivations are. Also consider what their goals, stresses, and worries are to really connect with them. Taking the time to understand who your audience is and how you can best serve them will help to speed up communication, as well as improve it overall. Whether we are talking about people who come from different countries or different states, people all come from varying backgrounds. There are obvious cultural differences that you can identify in people and then there are less subtle differences. For instance, people who live on the East Coast tend to speak more quickly than those on the West Coast. Get a feel for where a person is from and who they are before you begin to make a plan for how you are going to communicate with them. This will save you misunderstandings and likely frustration in the long run. For some people, even the idea of speaking to one or two people one on one can be a distressing one. On the other hand, you have to be able to be a good and thorough communicator if you want to succeed. This means you’re going to have to work on your presentation skills. Sure, your job may not require that you present to conference rooms full of people or at large conventions, but being able to present your ideas in a clear and concise manner will benefit you greatly regardless of the size of your audience. If you want to get a career that you care about and thrive in it, it’s time to use your resources at OUR Center in Longmont. Contact us today to learn more about what we can do for you in regards to securing the future that you want for yourself.